Enchanted Excurse: I Got Them Spooky Eyes! I Got Them Spooky Eyes! Afternoon Loverlies! I have had the opportunity to review something different from what I normally review. 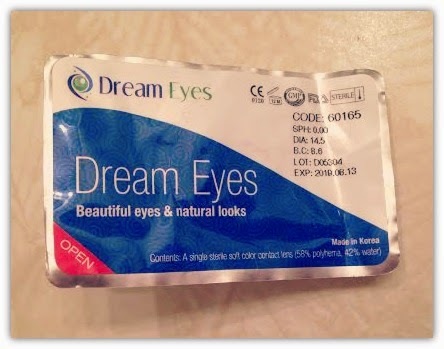 I was so excited to be accepted to review Spooky Eyes contacts. 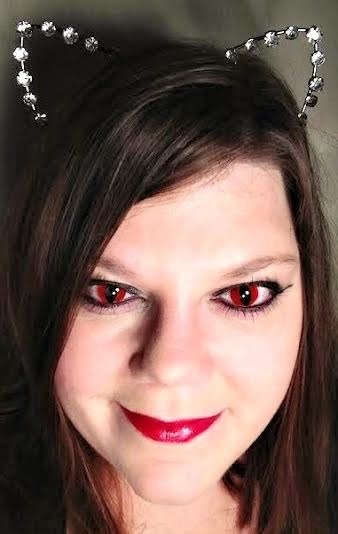 The contacts I chose to try were the Spooky Red Cat Eye Contact lenses. Theses lenses were not lke the prescription contacts I used to have, possibly cuz they are one size fits all. Once I finally got the lenses in and some more tear drops to wet them down they finally started holding better. I will say, it was hard getting used to seeing the red on the sides. I am sure some people who wear them, it wouldn't bug them as much. I just always seem to notice the littlest thing that bugs me. 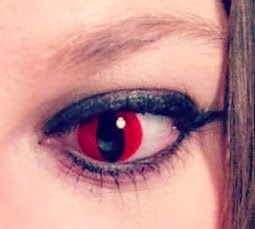 Once I got used to the lenses, it was crazy and fun to wear them. 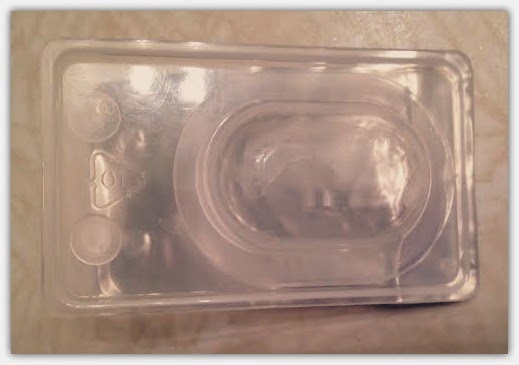 One thing I wish they mailed was a contact case to put the lenses in. 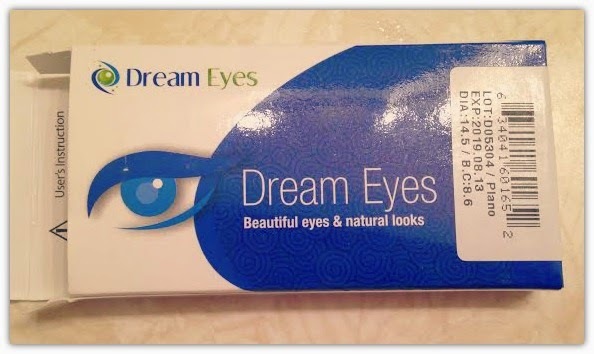 At least you can get a cheap contacts lense case at the dollar general store for about 2 dollars. Wearing different types of contacts make it easy for you to feel like someone else, or in my choice make it easy to go around being a cat. They have a lot of options for you to choose from and would be great to use for halloween costumes. You know what? Halloween is seriously, just around the corner. If you are needing a certain contact lense, then you should get to SpookyEyes and see if they have what you are looking for! Have A Blessed Day! Inside they have instructions on how to put the contacts in.